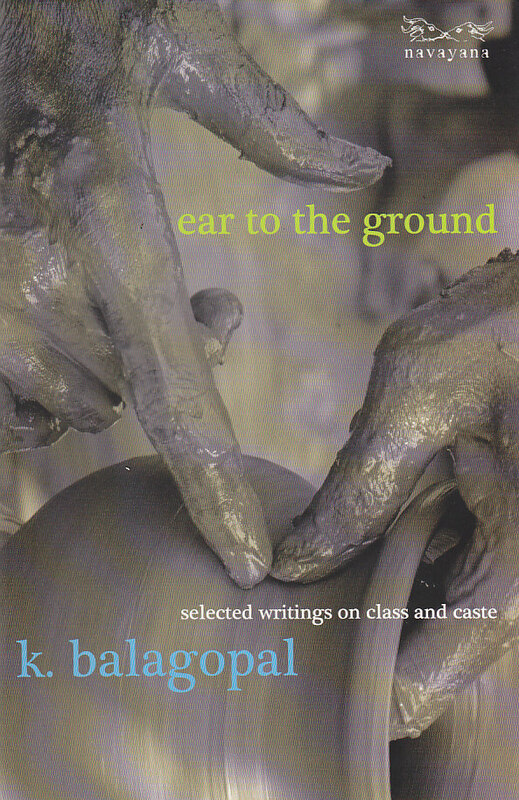 Ear to the Ground comprises essays that deal with representations and practices of class power as they exist in tandem with state authority and caste identities. Categories: Navayana, Politics, Sociology and Anthropology. Tags: 9788189059408, agricultural labour in India, Andhra Pradesh, Caste and Class in India, D.D. Kosambi, Dalits, Indian history, Naxalism, Social injustice in India. Balagopal’s writings, from the early 1980s till he died in 2009, offer us a rare insight into the making of modern India. Civil rights work provided Balagopal the cause and context to engage with history, the public sphere and political change. He wrote through nearly three tumultuous decades: on encounter deaths; struggles of agricultural labourers; the shifting dynamics of class and caste in the 1980s and thereafter in Andhra Pradesh; the venality and tyranny of the Indian state; on the importance of re-figuring the caste order as one that denied the right of civil existence to vast numbers of its constituents; the centrality one ought to grant patriarchy in considerations of social injustice; and on the destructive logic of development that emerged in the India of the 1990s, dishonouring its citizens’ right to life, liberty and livelihood. Many of the essays in Ear to the Ground are drawn from the Economic & Political Weekly. Inspired by naxalism in the late 1970s, intellectually indebted to D.D. Kosambi’s writings on Indian history and society, and politically and ethically attentive to the politics of feminist and dalit assertion in the 1990s, Balagopal refused dogma and shrill polemics just as he refused theory that did not heed the mess of history and practice.